Did you know that cannabidiol (CBD) can change your life? CBD can help with stress, anxiety, sleep disorders and epilepsy. The list of the amazing benefits that CBD can offer you goes on and on. But not just any CBD will do! There are about as many companies selling CBD oil, as there are strains of cannabis. Before you look to buy CBD oil, you need to know what you're getting into. Without knowing how to source the best CBD oils, it’s hard to know if you'll get CBD that contain the medicinal benefits you need. 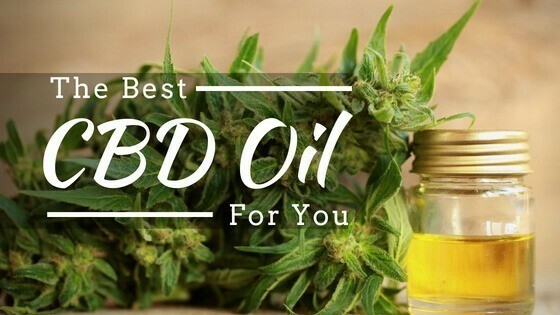 Today, you'll learn how to choose which companies to trust, where you should be buying CBD oil, and you'll check out the best CBD oil reviews. First Things First, What is CBD Oil? There are now thought to be hundreds of different chemical compounds in cannabis. People have long been familiar with THC—the psychoactive cannabinoid in cannabis. Now, more and more people are experimenting with another cannabinoid called CBD. You can think of these as a classification of chemicals that easily influence and benefit the human body. All of which interact with our endocannabinoid system. Unlike THC, CBD doesn’t get you high, and it doesn’t trigger paranoia. And it has more beneficial properties then its THC counterpart. Weedmaps.tv helps define the essential characteristics of CBD oil for the first time user in the video below. Cannabidiol is a perfect introduction for newcomers looking to use cannabis as medicine. Even for people formerly opposed to marijuana, CBD oil is naturally more innocuous. Most often it isn’t even sourced from a high THC marijuana plant. Instead, it most often comes from industrial hemp. This makes it legal in most countries. But it also makes it a more suitable therapy for some people than a marijuana-based medicine. Its gentle nature, lack of psychoactivity and its legal status are all compelling. It's the health benefits, however, that have made CBD so popular. Is there Robust Clinical Study of CBD Oil? If you’ve been paying attention to the news, the early research into what CBD could do for our health is astounding. Every day a new study is published, demonstrating some earnest results. While most of the research remains in the preliminary phases, more clinical studies are getting underway. This is thanks to the legal landscape opening up to the idea of cannabinoids as medicine. Excitingly, CBD is demonstrating so much promise for the treatment of intractable epilepsy. In fact, it's on the cusp of getting FDA approval. It's also shown positive benefits for social anxiety and more general anxiety disorders. Some pharmaceutical with THC/CBD mixtures are already approved for treatment of multiple sclerosis. Preliminary data, from animal and laboratory studies, indicate that CBD could also treat many different types of cancer including breast, colon, lung, brain and prostate, among many others. There also is substantial research into CBD as a powerful anti-inflammatory agent. It shows signs of being a great co-therapy with THC for the treatment of pain. Just because CBD oil has shown positive results early clinical trials, doesn’t mean that all CBD oils sold on the market today are going to provide the same results. The CBD oil market is crowded, and largely unregulated. Almost anyone can get in on the game no matter the quality of their product. Knowing what characteristics to look for when you buy CBD oil is crucial to ensuring you end up with a quality product. Is it Pure CBD Oil? The two most common formulations of CBD oil is a pure CBD extraction, and a pure CBD extraction suspended in a carrier oil. Pure CBD oil is the essence of hemp or marijuana plant extracted into a solvent. This is one of the purest types of CBD oil because it's not diluted. However, it's hard to find pure CBD oil. 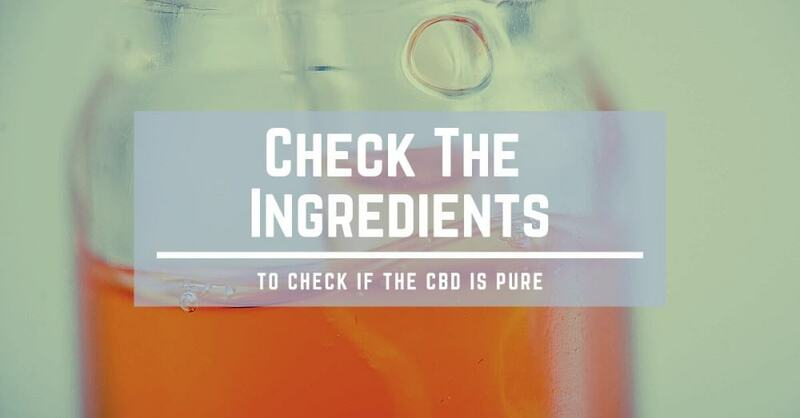 Most companies may claim their CBD oil is pure, but, check the ingredient listing. Typically, "pure" CBD oil is just a pure CBD extraction suspended in a carrier oil. Suspended oils aren't necessarily a bad thing. However, the label should clearly indicate the dilution. There are a thousand and one CBD oil companies competing in the marketplace today. Even armed with all the tools for determining CBD oil quality discussed above, you might still be confused. Always do your research, based on Youtube reviews, and reviews left on CBD oil review websites. Take notes, compare your options on a point-by-point basis, and trust your gut. If the companies check all the right boxes, and you feel comfortable placing an order, go ahead and give it a shot. What was the Extraction Method? There are many different to extract the valuable cannabinoids and terpenes from cannabis. Not all extraction methods preserve these compounds. Most high heat and butane extraction methods will eradicate most terpenes. One of the healthiest and protective extraction methods is CO2 extraction. Try to find products with clear labeling about their CO2 extraction process. Also, ensure there are no chemical contaminants, and no destroyed cannabinoids. After all, the main reason you are taking CBD oil is for the medicinal properties associated with the cannabinoids. If there is terpenes in the oil, they will be sure to label it. So, if you don't see it anywhere, don't think they forgot. There is much debate among CBD oil companies about whether or not a CBD isolate is more medicinally powerful than a whole plant CBD extraction. An isolate is a laboratory produced cannabinoid, containing only an isolated compound: CBD. While this may sound much more beneficial, consider the effects you might be missing out on from the many other lesser known cannabinoids and terpenes. There is a synergistic effect between cannabinoids. Meaning they work together to enhance their various medicinal properties. The most understand example of this is the Entourage Effect—the relationship between CBD and THC. When used together they seem to have higher pain relieving capabilities, well beyond the sum of their parts. Marijuana and hemp plants are a known bioaccumulator, which means they are an excellent crop to plant in highly polluted areas. They naturally pull chemicals, hard metals and other contaminants out of the soil and surrounding environment. But what does this mean for you CBD oil? If the CBD oil company doesn’t source high-quality, organic hemp products, there is a high chance that there are trace contaminants in the oil. One of the most common complaints about CBD oil is the price. For some people, the price is prohibitive, and they are forced to source out cheaper products. But, cheaper is not always better for CBD products. Growing, harvesting, and extracting high-quality CBD oil is a time consuming and expensive process. The cheaper the oil, the increased chance you’ll have that its extremely low potency, mixed with unhealthy carrier oils, or in the worst cases, contains absolutely cannabinoids at all. 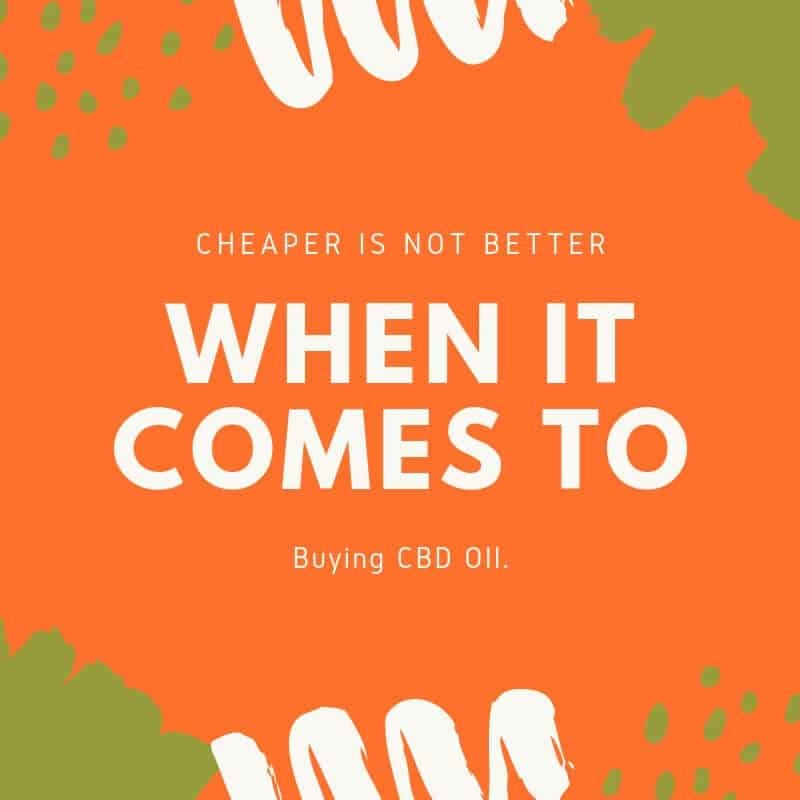 Price should never be a determining factor when you buy CBD oil. There will be some variation in price between even the reputable brands, but if you think the price is too good to be true... it probably is. Often, the best way to make a snap judgment on your CBD oil is by scrolling through the companies website. It’s very easy to throw together a shoddy website, with poorly written content. The quality of a companies website is often the surest way to tell the quality of the final product. Should you trust a company whose website barely works, and has a slew of grammatical errors? Review their website with a keen eye; if you suspect they haven’t invested in their website, they likely haven’t invested in the quality of their product. For the average person, new to all things CBD, it might feel challenging to dig through the information, the reviews and the product listings to find the best CBD oil on the market. After all, not all CBD oils were created equal, and not all are suitable for everyone. Here are six of the best CBD oils on the market today, starting with Pure Kana. One of the top CBD oil companies on the market today, Pure Kana sells three varieties of CBD oil, natural, vanilla, and mint flavor. Each flavor comes in three different potencies, 300mg, 600mg, and 100mg. Importantly their hemp extractions come from organic plants. Plus, their products are laboratory tested to ensure safety and potency. If you were paying attention to the points on sourcing high-quality CBD oil, you'd notice that lab Pure Kana checks off the organic, and lab result requirements. Their products are also a pure CBD extraction, suspended within a healthy MCT carrier oil, with the potency very clearly labeled. The Pure Kana CBD products are helpful for the treatment of lingering pain, as well as for social anxieties. Their CBD products help their customers return to normal daily activities. Even within only a few short days of use, many customers report significant improvements in their quality of life and they love the free shipping. Elixinol has been in the industry for a long time. They have a huge selection of some of the strongest CBD oil products available. Inclusing potent vape pens, capsules, traditional tinctures and hemp oil. They also have innovative product called CBD Respira. The entire Elixinol lineup consistently receives some of the most positive customer feedback in the industry. This is likely because their products are full spectrum, whole plant organic extractions. Their Respira branded products, in particular, are produced from a special strain of hemp plants, bred specifically for their high CBD content. Many of the distinctive qualities of a pure CBD oil. Their products help with sleep, appetite, pain and more, with some customers reporting benefits for Post Traumatic Stress Disorders, chronic illness and even for use with their pets. Elixinol also ships internationally, which some companies are not able to do. Green Roads is pushing the boundaries of CBD oil products well beyond the industry norms. This includes a range of interesting CBD terpene products. They also have other more conventional products like capsules, edibles, oils and pain creams. Unlike other companies, they also make taking CBD as a daily supplement easy, with optional daily dose products and CBD product bundles. You'll notice that Green Roads have an easy to navigate website, which provides tones of information on their CBD oil products, and their processing methods. Green Roads' products are organic, non-GMO, CO2 extracted, and full spectrum. Clearly, they have carefully thought about what a quality CBD oil product should be. The consistency and appearance of the CBD oil are often reported to be much different than other oils on the market, but that could be boiled down to the carrier oil they use. Their CBD oils are a potent way to manage chronic pain, issues with sleep, and inflammation. For a relatively lower price to other brands, CBDPure still provides valuable medicinal benefit. Produced from natural and organic hemp oil, they have developed a variety of CBD oil potencies as well as soft CBD gel caps. Importantly, they provide specific information on exactly how much pure CBD you get with every single dose. No more challenging calculations to determine how much actually cannabinoid content you are getting per dose. It is an exceptional value for the price, perfect for the treatment of spasms, arthritis and inflammation, and anxiety. One of the most reported problems with CBD oil companies is the terrible return policies and negligent customer service departments. Not so with CBDPure, with many customers report nothing but positive experiences with their customer service department. Capsules, balms and conventional hemp oils, all of CWHemp products are produced right in Colorado. The Stanely Brothers, in partnership with Charlotte Figi, developed a unique strain of hemp with higher concentrations of CBD. For those that don’t know, Charlotte is the little girl responsible for the famous strain of CBD heavy marijuana called Charlotte’s web. Her parents fought for her right to use CBD for the treatment of her epilepsy. Now Charlotte's family are working to produce quality CBD supplements for much more than just epilepsy. Their products are perfect for relieving everyday stresses, for post-workout recovery, and they even have a line of CBD oil for dogs. This brand has some of the most interesting CBD oil products on the market. They offer everything from CBD skin cleansing products to CBD vegan gummies to isolates. If you like to experiment with many types of CBD products, Infinite CBD oil has many interesting formats to explore. Each of their products has valuable laboratory test results posted right alongside the product description. 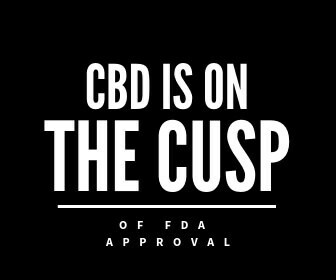 Each of their products also tends to come with unequivocal CBD dosage guidelines. Because they also sell isolates, their CBD oil products tend to have a higher potency than others on the market. This higher potency makes them an excellent choice for anyone using CBD as a co-therapy or for chronic illness. Before shelling out all your hard earned cash on the most expensive product, they have to offer, make a small purchase and take the product for a test drive. Cannabidiol typically takes a few days to build up within your endocannabinoid system. This means that the medicinal benefits of CBD oil could take a few days to kick in. Unless you experience any adverse side effects, its best to keep using the product for a full month. At the end of the 30-day test phase, you should have a good idea of quality and potency. Did you experience any unwanted side effects? Your 30 days of CBD testing will give you more direction for your next CBD oil purchase. With all the products on the market today, it can take a few tries to get the potency and dosage right. For example, many people complain about the earthy taste of CBD oil, and therefore an easy to dose capsule might make the best decision. If your health issue is mainly sore muscles and stiff joints, CBD topicals and creams are likely a better format than an oral dose. Every single person's health issue and preference is unique. Therefore there is no one right way to take CBD oil. Did you love the CBD oil product you chose? Maybe you loved it, but hated the taste? Maybe, you felt no positive benefits at all. Why not help out the rest of the CBD oil community by leaving a review of your own experience on the company's website, on CBD oil review blogs, and if you feel passionate about it, a Youtube review. Your opinion matters, and will help others make their own CBD oil decisions. The more people using their voice to discuss the quality or lack of quality in the CBD oil industry, the better products will become. And we all deserve to be utilizing only the best CBD oil there is!